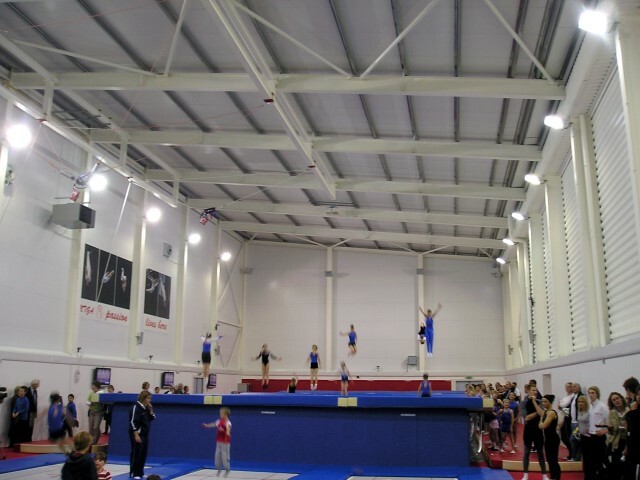 NAYC NTGA Trampolining Centre - MEB Design Ltd. 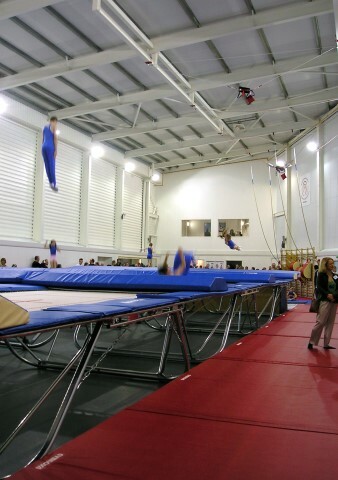 Appointed by the Northamptonshire Association of Youth Clubs and Northamptonshire Trampoline Gymnastics Academy for the extension to an existing sports arena funded by the National Lottery and Sport England. 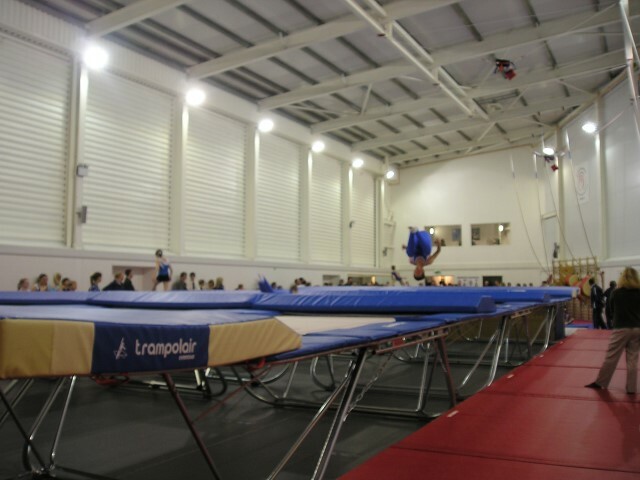 The centre is designed specifically to respond to the needs of trampolining as well as maintaining a light, spacious and modern feel. 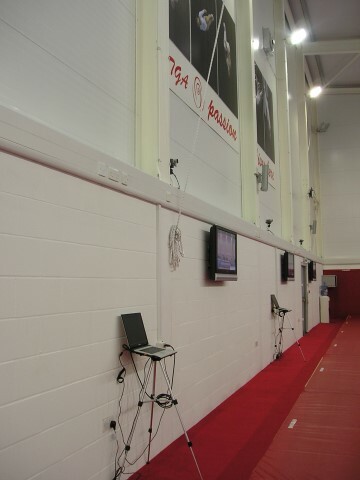 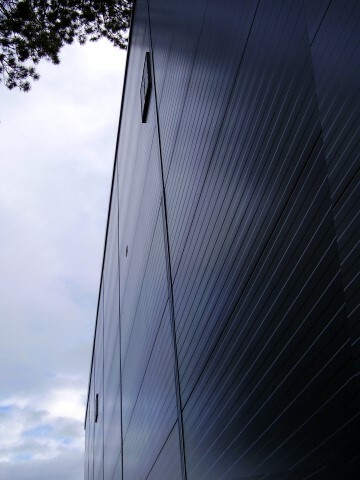 The facility contains twelve trampolines and a sunken foam pit, as well as wall bars and ropes, training ‘bungees’ and full video analysis equipment. 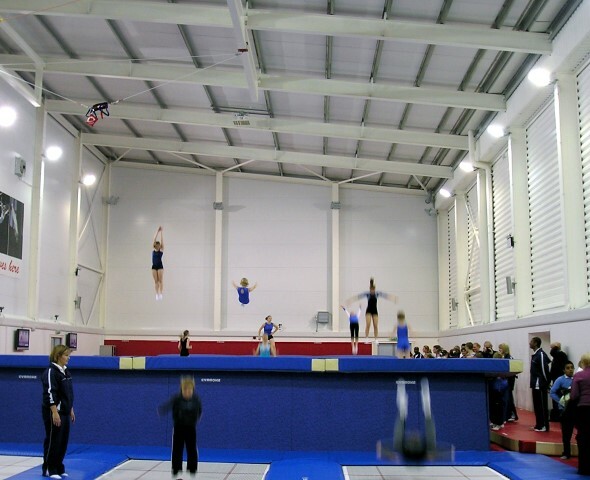 A new accessible WC and shower facility were included alongside a new spectator area at first floor over looking the trampolining hall.